I know the akashic records reveal all of the soul’s lives…every moment, thought, feeling and more. Another view from theosophy says they are “a compendium of all human events, thoughts, words, emotions, and intent ever to have occurred in the past, present, or future.” I was surprised when I was given this title for this one. I knew it felt full to me, but I did not realize how full. It kept wanting me to add more and more borders around it. It was spilling over like an endless pool. The original “borrowed” image that started this mandala was an aerial photo of New Delhi. 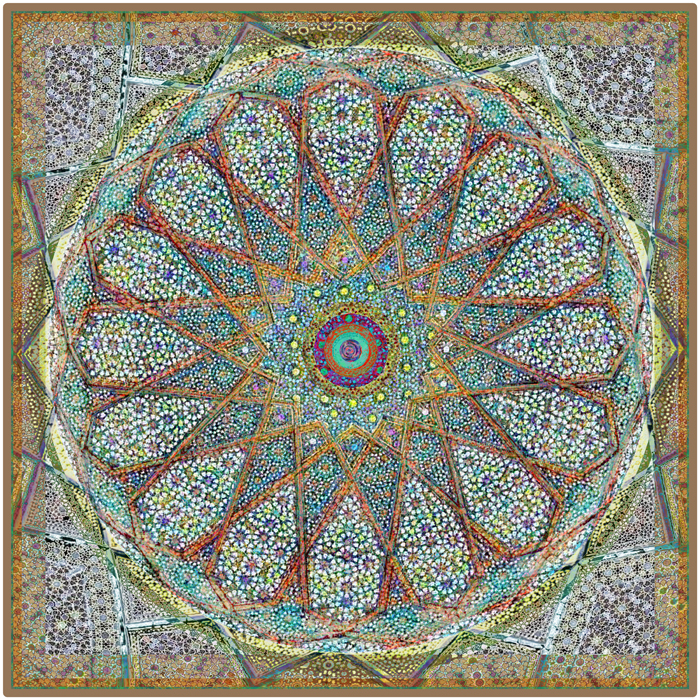 This entry was posted on November 1, 2018 by Elsah in Mandalas.